The first step to creating your all-encompassing Brain is to build a fundamental Thought structure with two primary domains of “Personal” and “Business”. Start with your name. 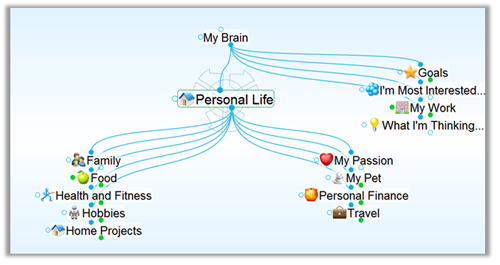 Under your name create key categories for all the major areas of your life and work. You can browse this template Brain online or download it and view it in your desktop Brain. Use this Brain to get ideas for your own Brain. If it feels right, it can also serve as the foundation of categories for your Brain. Remember, if you do start using this template you can right click to rename, or delete anything you don’t want. You can also copy portions of these Thoughts into an existing Brain. There is no limit to the number of Thoughts or connections you can make in your Brain. Any topic that you like to browse the web on or think about on a regular basis should go here. The great thing about adding Thoughts for your personal projects is that you can always return to them at a moment’s notice. You can use them in the present but also have them for future reference. In this way your Brain becomes your digital memory. These Thoughts will also give you a greater sense of control and more insight into any personal plans or decisions you are pondering. For Instance, I have mapped out and added many vacation destinations in the travel section of my Brain. This has helped me prioritize activities and plan successful trips. And as an added benefit, if I ever need to go back to that destination all my best thinking and information is right there. In addition to travel, I also frequently use my Brain for information related to health, family and hobbies. With TheBrain’s flexible linking you can connect any project to the right person, department or client to see valuable relationships. 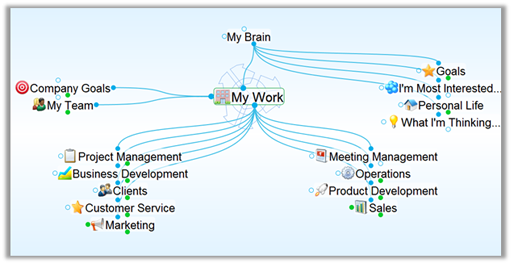 In this area of your Brain you should create Thoughts for all relevant work domains that you oversee or are involved in. 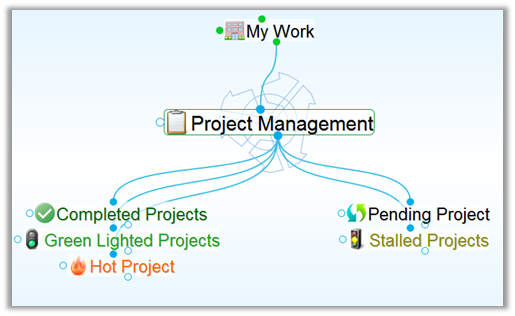 I also recommend having an area for key projects right at the top. These projects can also be linked under their relevant departments or trends because in your Brain one piece of information can live under multiple categories. If you have a lot of meetings, a separate Thought on “Meeting Management” is useful. Here you can store all relevant meeting notes, research, supporting files, and highlight key action items. As your Brain for everything comes together, you can further contextualize information with Thought Types and Tags. 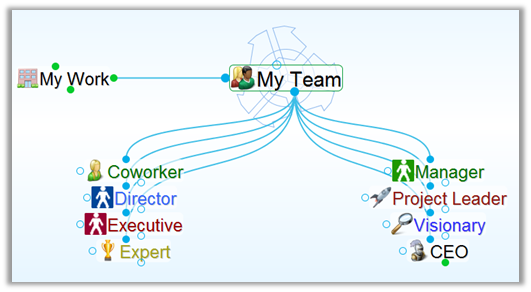 For example, you can create Thought Types for key types of people and projects. Tagging information also lets you assign key attributes to Thoughts and then see all Thoughts tagged with that attribute at once. If you are working with a number of people understanding their role in your organization can be helpful to leverage the right contact. Each person in your Brain can be given a Thought Type indicating their primary role. Additionally, Tags can be added for skill set. The above “person types” are included in our template Brain. You can also use Thought Types to visually convey status of a project. Secondary attributes of a project can be captured with Thought Tags. For more information on Thought Types and Tags watch TheBrain’s online tutorials. Now that we have discussed how to build a single Brain I think it’s only fair to acknowledge that there are some cases when you might want separate Brains. For instance, if you want to share an area of your Brain and your Brain is very large you might be better off copying those Thoughts into another Brain. (You can make Thoughts private before sharing and publishing but if you have to make the majority of your thoughts private sometimes creating a specific Brain for publishing is the way to go.) Here are some general guidelines for what approach is best for you. For two interesting perspectives on having a single or many Brains see “One Brain or Many? Approaches to Creating a Brain” Let us know what approach works best for you!